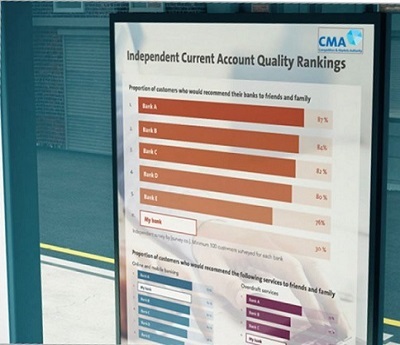 Are the banks ready for the CMA to publish their NPS scores next year? In 2018 customer advocacy, will become even more critical for banks as the Competition and Markets Authority’s (CMA) plan to publish service quality metrics for the first times becomes a reality. This as part of their large “Making banks work harder for you” initiative. Prospective banking customers will be able to easily identify how well banks are performing, and make their choice based on amongst other metrics; Net Promoter Score. Bright raised eyebrows in autumn 2016 when we published a press release on the banking and insurance sectors scoring highest out of millions of cross-sector surveys. Challenger banks are further improving in this area, outperforming the number one bank since 1989. On the whole customers are actually quite satisfied with their banks but still many are scoring as low as a 19 point NPS score. The under performing banks need to put these in place immediately to get the effect (normally a 20-percentage points uplift) needed before Jan 1st 2018. 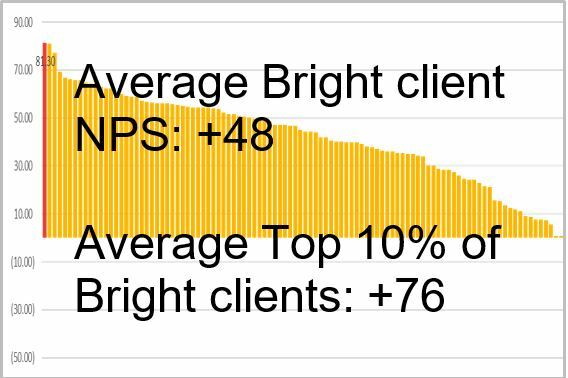 Bright’s Average client NPS score is around 50 which is higher than average due to clients putting in place measures explained below. Accountability. If customer feedback is not broken down to agent and branch level, they will not be able to drive change. Adding alerts for bad scores will also support the retention process. Monitor the full customer journey / look beyond customer service.A company is only as strong as their weakest link so make sure there is full visibility of all channels and touch points. Dissatisfaction arises outside of contact centres in a majority of cases but we pay dearly to handle it there. Put text analytics in place enabling you to present the COO with “Top 10 customer gripes” and have him/her stop other departments doing stupid things to your customers. Add a question to your transactional surveys asking “Did you try and solve your query online/ in app before you called us?”, and you will see that there is £M’s wasted on malfunctioning self-service features. Link customer feedback with performance and employee engagement.You will be amazed by the additional insight you get from correlation analysis of the three. FCA also approves of this way of measuring productivity since it includes customer satisfaction. 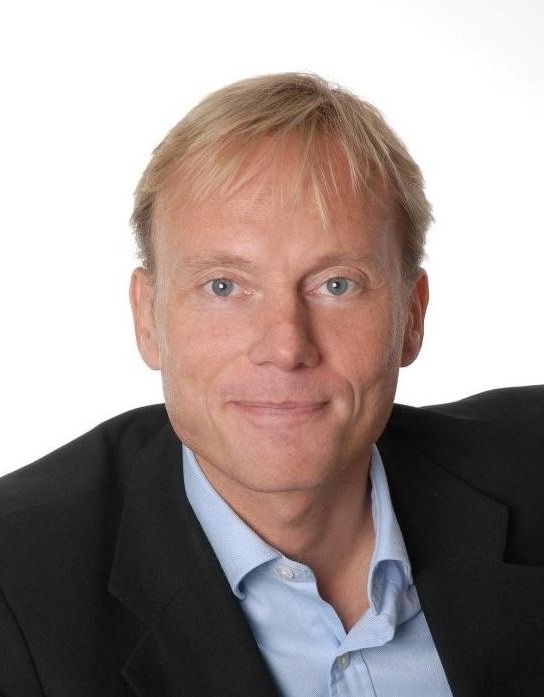 Next Next post: Effective customer contact for the utilities sector.